In compliance with the norms and guidelines laid down by the industry, our company is engaged in manufacturing of Fan Blowers. B.) All types of Blowers and I.D. F.D. Fans etc. C.) All types of Burners such as: OIL FIRED, GAS FIRED OR DUAL FIRED, PULVERIZED COAL FIRED BURNERS ETC. D.) Waste heat recovery recuperator of various capacities. Trans ACNR Solutions Pvt. Ltd. Engaged in manufacturing and supplying fresh air metal body low speed. 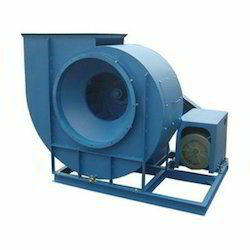 We provide our customers an excellent quality range of Fan Blower, which is manufactured from high-grade quality raw materials. These Fan Blower can be customized as per our precious customer's specifications and widely known for its durability and quality.